Housewarming parties can be a wonderful event to attend. These parties are hosted to celebrate the purchase of new house. You can buy wide variety of gifts for housewarming parties. Most of these housewarming gifts would include home accessories, crockery, DIY gifts, artifacts, cards, portraits, photo frames etc. your hosts would definitely appreciate a gift that will add value to their home. You must keep your host’s personality in mind while buying the gift. If you know the kind of house your host has bought then you could buy or make a gift that goes well with the décor of the house. Your hosts would love handmade or personalized gifts instead of gifting them something off the shelf. There is no doubt that personalized gifts speak about the amount of dedication and love put in by you while making the gift. Personalized gifts are definitely worth the effort when you see that million dollar smile on the proud homeowner’s face as they open your gift. You can personalize several gifts that are available in the market. 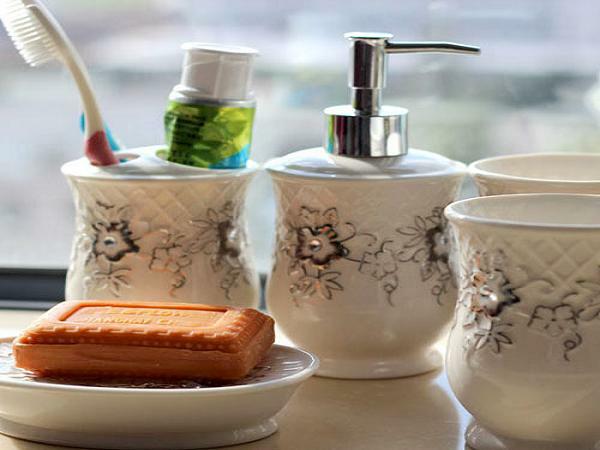 You just need some creativity and resourcefulness to personalize the generic housewarming gifts. Here is a list of some simple yet delightful personalized gifts. Home-owners would love have a gift basket full of dry meals as it will help them to whip up a quick meal. Cooking large meals immediately after moving in may be difficult for any house owner as they have to still settle in. A dry meal basket serves as a perfect thoughtful gift for such occasions. You will need a wicker or bamboo basket, packet of noodles, dry pasta, dried herbs, ready to eat meals, brownies etc for such treat. If your host loves to cook, then you can choose her favorite dish and add all the ingredients in a large bowl or basket and wrap them well. You can also add a recipe book in the bundle. Your host is going to thank you as he or she whips up some amazing food with the ingredients. New house will require lot of cleaning to keep it spick and span. You can gift your host a complete set of bathroom supplies including floor cleaner, scrubber, wipes, kitchen wipes, tissues, gloves, etc. you buy a cute bathroom caddy to store all these items. You can substitute the caddy with a cleaning bucket if you wish. Wrap a small satin ribbon around the caddy and hang a handmade card on the ribbon. Crotchet basket filled homemade jams or homemade cookies: if you are good at cooking or baking then you can let your hosts feast on your creations. You can buy a crotchet basket in a bright color and fill it up with homemade cookies, homemade jams or any other dry edibles that you can cook at home. 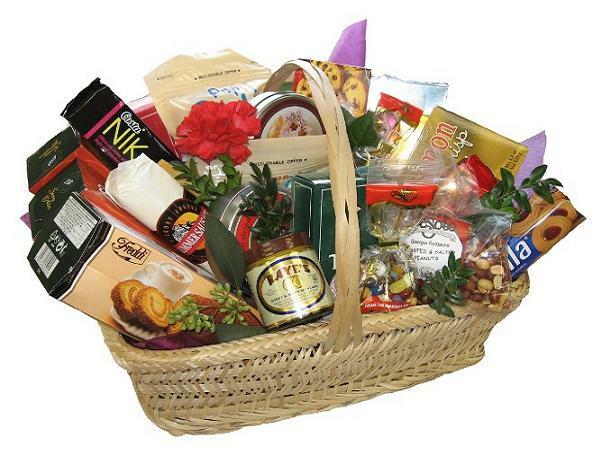 Arrange these goodies well into the basket and cover the basket in a gift wrapping paper. If you are knitting, then you can probably knit a crotchet bag to match the crotchet basket. Place the basket in the crotchet bag and you are ready to go. Personalized photo frames: if the new home owner is a close friend or family member then you can create a personalized photo frame for them. Select the photo frame as per your choice and add photos of you and the home owner in it. If you wish you can photos of homeowners along with their pets or families. Ensure that you choose a photo that brings back some good old memories for your host. Destination Scrapbook: If the homeowner loves to travel to different places and has already travelled to different cities or countries then you can create a personalized scrap book for them. You can buy a blank scrap book from any retail store and then collect different pictures of the home owner when they were travelling. You can also add a brief note about each place. This scrap book will definitely jog the memory of your host as he or she relives all the trips they have taken so far. You can decorate the scrapbook with different embellishments. Let your creative juices flow as you make a lovely and memorable housewarming gift. Bucket/tub filled with household items: New homes definitely would appreciate some additional household items. You can create a tub or basket full of household items as a housewarming gift for your friend or relative. Some of the common household items would include toilet paper, Paper towels, Batteries, Flashlight, Plastic dish wear (plates, utensils, napkins), Hand soap, Scissors, Small fire extinguisher, Wall hanging kit etc. 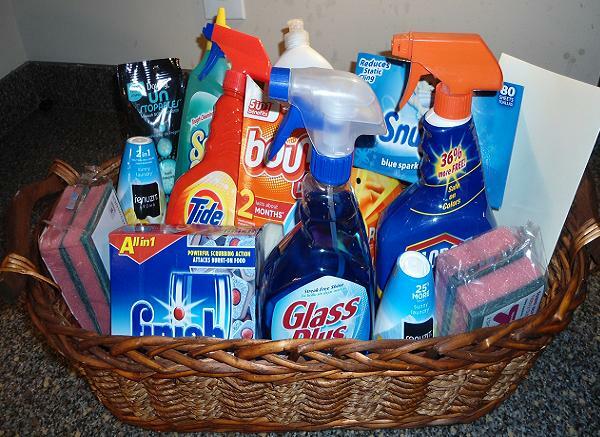 You can place these household items in a tub or a basket and tie a satin ribbon around it. The proud home-owner would definitely appreciate your thoughtfulness. Baking accessories: If your host is good at banking, you can gift them baking accessories. Some of the popular accessories would include baking tray, applicator brush, gloves, apron, recipe booklet, measuring cups, macaroon baking sheet etc. you can place all the items in a baking tray along with personalized printable that has an interesting quote or a special note for the host. You can add some homemade cookies or macaroons along with your own recipe for them. Your host will definitely love this gift. You can also add decorative cookie jars in the basket for gifts. Antique aprons also serve as perfect gift for homeowners who love to bake. Bamboo cutting board: You can purchase a regular cutting board from your local store. It is important that you personalize the same by adding a monogram to it. You can design a tray liner with your favorite design and then print it on hard paper. You can add the homeowner’s initials in the middle of the design. You can cut the design to the size of the chopping board and paste it on the chopping board. You can also engrave your host’s name on the chopping board instead of pasting the design on it. Homemade candles: If you are good at candle making then you can buy a small candle holder or votive stand and place the homemade candles in them. You can even create a basket full of homemade candles and add few other silver candle stands in the basket. You can add assorted candles like gel candles, edible candles, aroma candles and candles in different shapes to the candle basket. Add a cute little printable that speaks about the home owner and their new house. These candles can definitely enhance the décor of the new house and your will love them to the core. Personalized key holders: Key holders are essential in every home. You can personalize the key holder by engraving the initials of the homeowner on them. You must choose an artistic design for the key holder. If you are good at carpentry then you even create a cute little key holder from wood for your host. You can also create a key holder by gluing wine corks in a shape of a key. Add five to six rings where the owner can hang keys. Paint all the wine corks in solid colors. You can create different shapes using the wine corks.